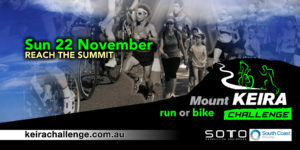 The second Mt Keira Challenge was run on Sunday 22nd November 2015, and of course Exsight was on the scene. 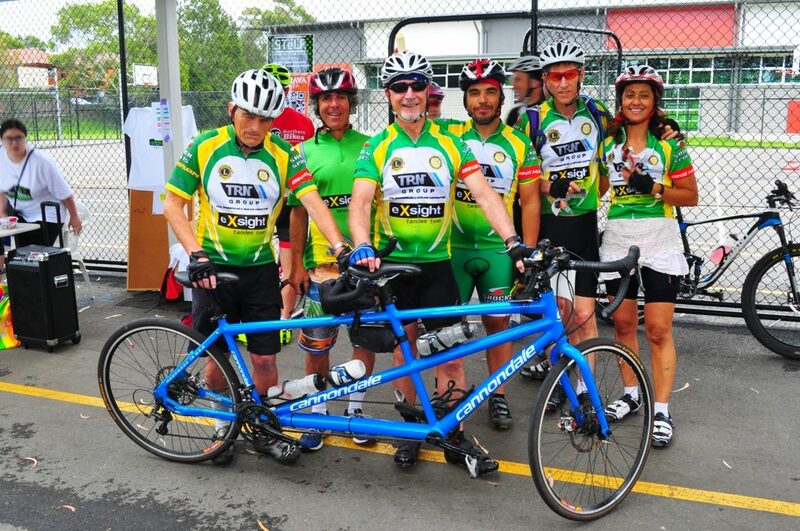 Three (3) tandem teams from eXsight Tandems Illawarra participated in the ride to the summit, all mounted on Cannondale tandems. 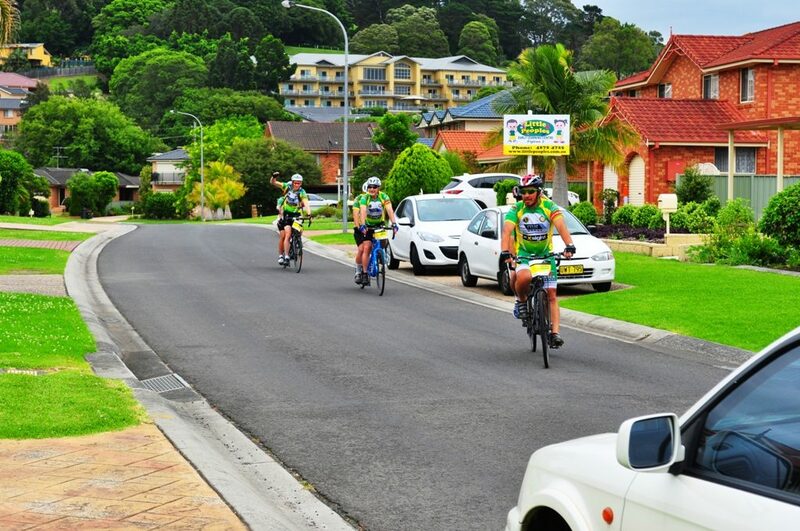 The road up Mt Keira consists of 6.3 km of sealed pavement at an average gradient of 6% rising 432 m from the start of the course to its finish at the summit. The first 1.5 km has a gradient of 8% followed by 4 km of winding road at a gradient of between 4% & 6 %, the final 800 m has a gradient of 15%, which proved a real workout for the tandems. According to Aldo there is a slight downhill section (about 100 m for a drop of about 3 m) halfway up the climb. “Enough to make you peddle on the descent”. 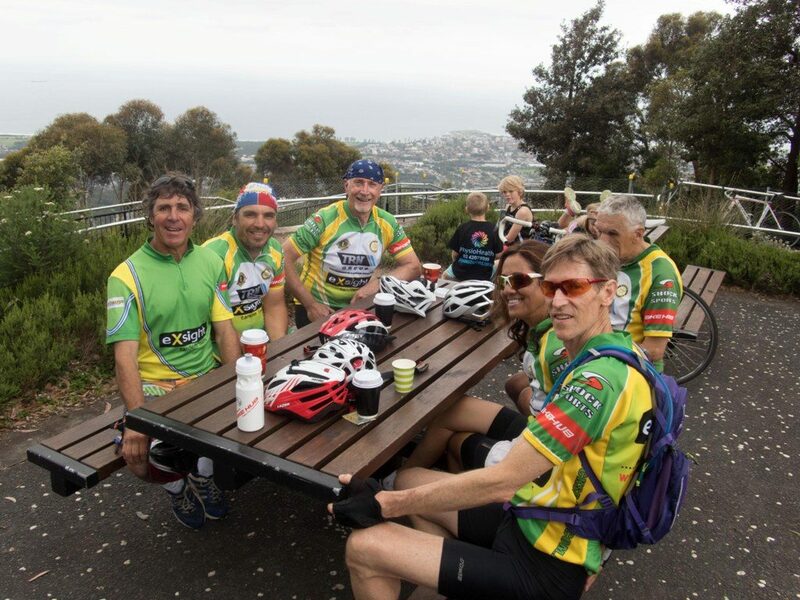 All teams made it to the summit in under 40 mins, with Aldo and Victor benefiting from “secret training” on Mt Keira, with a heavier Schwinn tandem, reaching the summit first in a time of 30 mins followed by Greg and Geoff in 37 mins and Phillip and Victoria finishing in 38 mins (a great effort considering they were riding an unfamiliar tandem and it was their first time on Mt Keira). 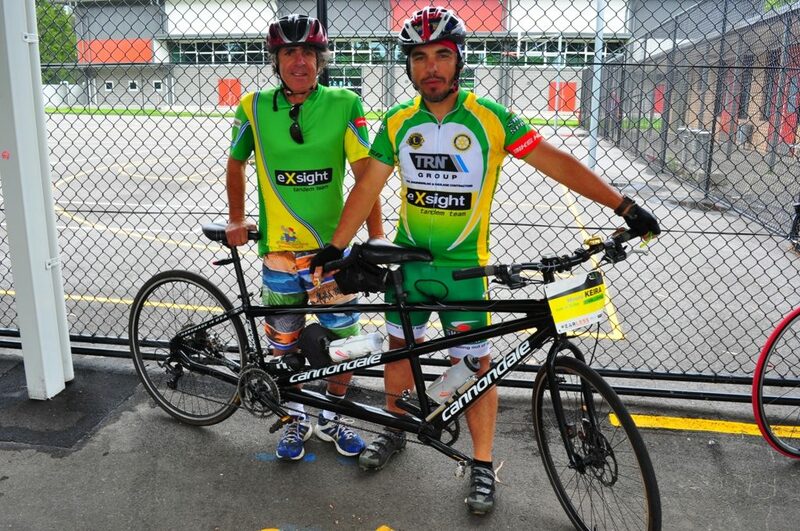 Aldo & Victor leading off from the start with Greg & Geoff in 2nd wheel. The descent proved the highlight of the day with a photo finish between Greg & Geoff (1st) and Aldo and Victor (2nd), while Phillip and Victoria exercised a more cautious approach to the downhill and damp corners, to finish a few minutes behind the other two (2) tandems. 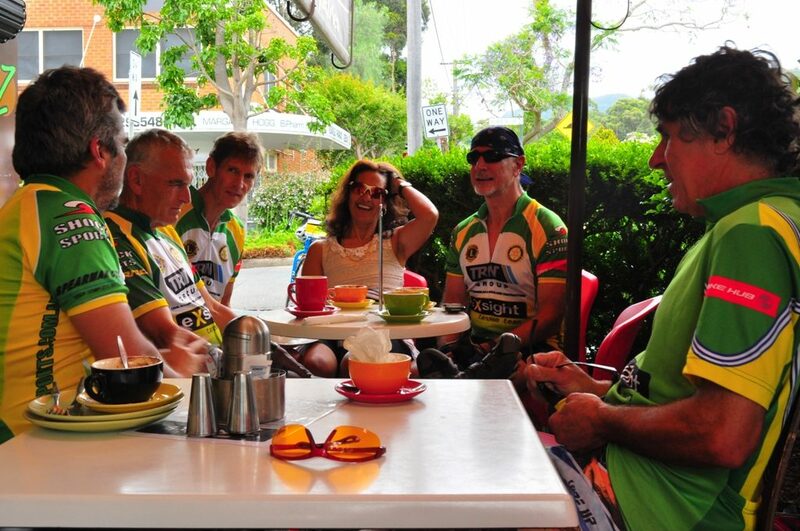 Everyone then adjourned to Zanders Cafe in Keiraville for coffee, vanilla slices and muffins. 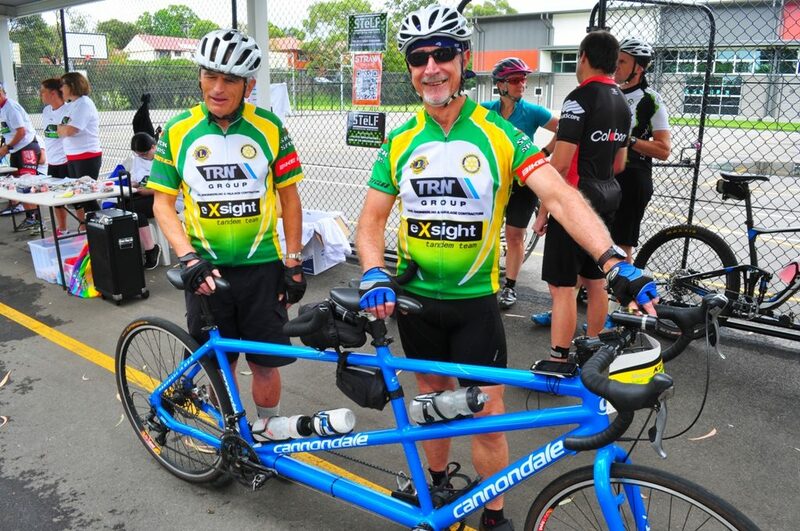 Aldo made the comment that “I have done a few rides with eXsight some longer than others….all have had only 1 coffee stop” but the Mt Keira Challenge “had 2”, the second coffee rechargedg everyone sufficiently for the 5 km ride back to Figtree. According to Aldo “Geoff Stratton now considers himself ready to tackle Macquarie Pass to partake of the fare at the Robertson Pie Shop”. Group Photo before the start.